Amsterdam/Atlanta, GA, 1996, 187 pp. Preface. Heinz KIMMERLE: How can time become time (again)? How to repeat what never has been? 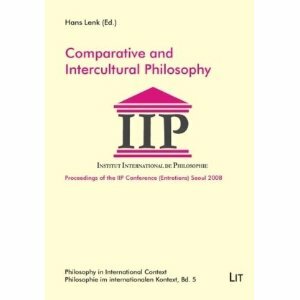 Jan HOOGLAND: The necessity of intercultural philosophy. Jürgen HENGELBROCK: Some reflections on Aristotle’s notion of time in an intercultural perspective. Hari SHANKAR PRASAD: Time in Buddhism and Leibniz: an intercultural perspective. Ram Adhar MALL: Time-arrow within the bounds of cyclic time. Ulrich LIBBRECHT: Chinese concepts of time: yü-chou as space-time. Tomonaga TAIRAKO: Time and temporality from the Japanese perspective. Wim van BINSBERGEN: Time, space and history in African divination and board-games. Kwasi WIREDU: Time and African thought. Joshua N. KUDADJIE: Aspects of Ga and Dangme thought about time as contained in their proverbs. Yacouba KONATÉ: Minimal vibrations of an infinite time. 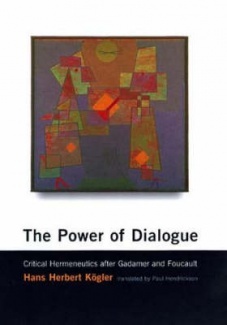 Douwe TIEMERSMA: Organic time: a contribution to intercultural philosophy including african and indian ideas. Henk OOSTERLING: Post-face. Bibliographical note on the authors. Bibliography of the publications 1989-1995 of Heinz Kimmerle. It is actually essential steer clear of this in the event you really need to learn how to lose 10 pounds in 3 weeks. form of workout should you are not physically. First of all I would like to say terrific blog! I had a quick question in which I’d like to ask if you do not mind. I was curious to find out how you center yourself and clear your head before writing. I have had difficulty clearing my thoughts in getting my thoughts out. I truly do enjoy writing however it just seems like the first 10 to 15 minutes are usually lost simply just trying to figure out how to begin. Any recommendations or tips? Cheers! hi!,I really like your writing so much! percentage we be in contact extra approximately your post on AOL? I require an expert in this space to solve my problem. Maybe that’s you! Looking forward to look you.